The POE-171S allows devices to be free from restrictions that arise from dedicated power outlets. The unit also makes it simple to save since it removes the need for AC wiring. The POE-171S utilizes standard cabling as IEEE 802.3at/af PoE. The unit offers users the ability to source up to 50 watts of power by utilizing all the four pairs of standard Cat5e/6 Ethernet cable. The PSE controllers are used to power the data and spare pairs. 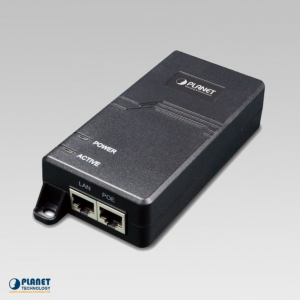 With IEEE 802.3at Gigabit high PoE devices installed,users only need to install a RJ-45 Ethernet cable to carry power and data from a IEEE 802.3at/af PoE injector to the POE-171S. 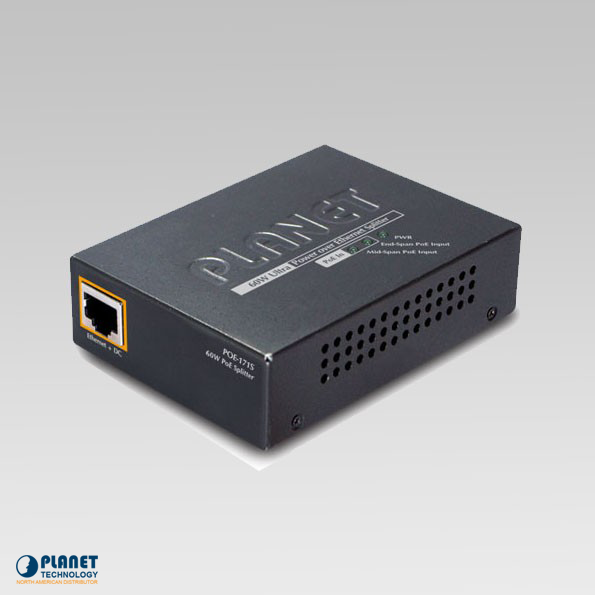 The unit operates efficiently to split data and DC power IP networking devices. In addition, users save time and money with the unit’s ability to make installation and reliability even simpler. 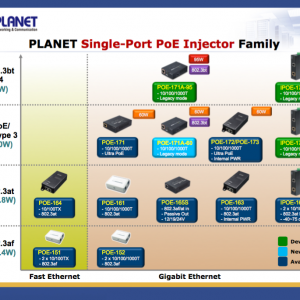 When IEEE 802.3at compliant devices are installed, the POE-171S operating with the POE-171, can connect and migrate and split power and Ethernet digital packets at the same time.